According to the Centers for Disease Control and Prevention, drug overdose was the leading cause of adult injury death in the US in 2014. Opioid addiction is the leading cause of these overdoses, with 40% of the deaths related to prescription pain medications, and more than 20% related to heroin. Naloxone, sometimes called Narcan, is a special medication that stops overdose. Side effects of opioid use include drowsiness, constipation, difficulty breathing, opioid dependence, addiction, and even overdose. Opioids include prescription pain medication and other opioids like heroin. Naloxone is effective on all opioids and it reverses the severe breathing problems and overdose risk that opioids can cause. Below is a list of generic and brand names for some of the most commonly prescribed opioids. Naloxone has saved thousands of lives in Massachusetts (STOP Addiction in its Tracks), Rhode Island, and across the US (Naloxone Success in the US). Naloxone is safe, effective, and easy to use. 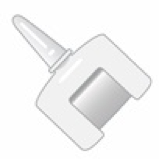 It can be administered via a nasal spray or intramuscular injection. Below are the four forms of naloxone that may be available to you in your community or at a local pharmacy. People who use opioids, or their family and friends, can receive Naloxone Rescue Kits and opioid overdose prevention education from many area pharmacies. Ask your pharmacist if you are interested in learning more. Many pharmacies have standing orders for naloxone, and a prescription is not needed to get a naloxone kit. Follow these links to find participating pharmacies. Patient education training videos and additional information on signs of overdose are available at Prescribe to Prevent. Always call 911 when faced with a potential overdose emergency. Substance abuse treatment services and prevention programs. This information is provided through the Maximizing OpiOid Safety with Naloxone (MOON) Study and the University of Massachusetts Medical School. The MOON Study is a 3-year demonstration project funded by the Agency for Healthcare Research & Quality (AHRQ). Researchers from the Boston Medical Center, Boston University, Lifespan Hospitals of Rhode Island, and the University of Rhode Island are working together with local pharmacies to determine the best way to provide naloxone in the pharmacy setting. 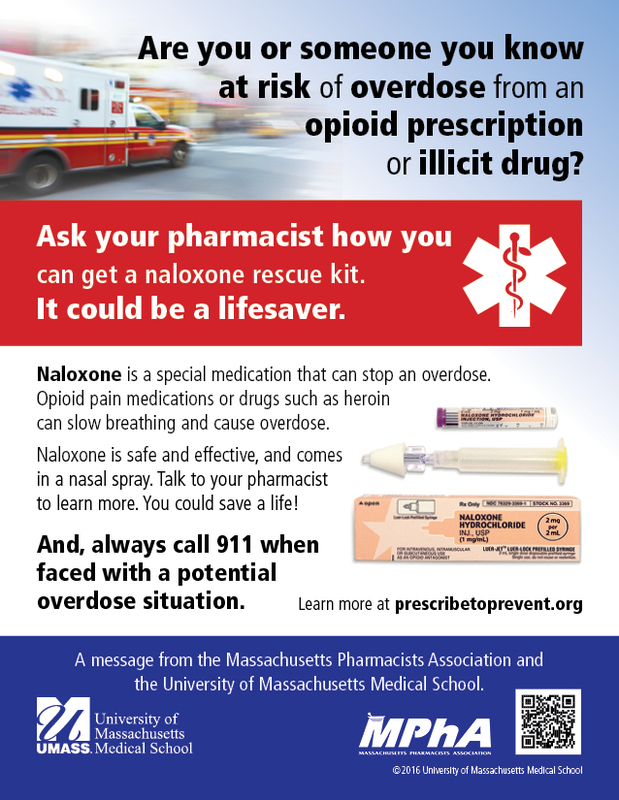 The University of Massachusetts Medical School is collaborating with the MOON Study to educate consumers about access to naloxone in pharmacy settings.